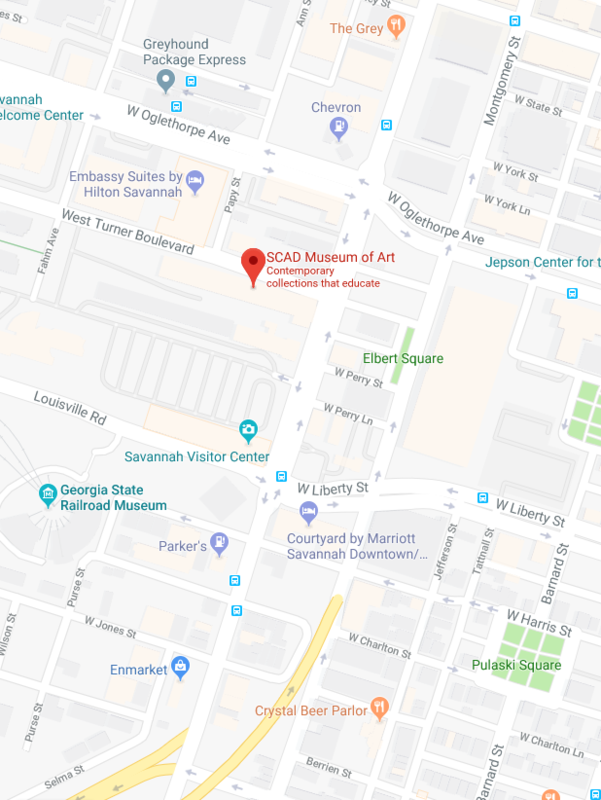 The SCAD Museum of Art is a premier contemporary art museum that introduces new exhibitions every academic quarter by a range of highly acclaimed professional artists, inspiring and challenging students across disciplines to push the boundaries of their creative practice. Plan your visit today! Enjoy inspiring exhibitions, as well as scheduled film screenings, lectures and gallery talks. Guided tours and reduced rates for group visits are available by appointment. Learn about the SCAD Museum of Art's exhibitions by checking out our new Family Activity Packs. Each pack includes a sensory board with samples of oil and acrylic paints on canvas, a scavenger hunt and art activities to engage younger museum visitors and teach them about the art on view. The Family Activity Packs are free to use with museum admission and available for checkout at the front desk. Follow the SCAD Museum of Art on Facebook, Instagram and Twitter. Share your experience using #SCADMOA.